Helen has been researching her family since 1986 when her mother lamented the fact she had never known her grandfather, George Howard Busby. Helen found some information and a newspaper photo of him, was hooked and has been addicted ever since with research in Australia, England, Wales and Ireland. She is researching the surname Quested anywhere, anytime and has registered the name with the Guild of One-Name Studies. She is the author of Death Certificates and Archaic Medical Terms and has written for a number of publications including Inside History, Australian Family Tree Connections, Forgotten Times, family history journals as well as scientific publications. Helen has spoken to a wide variety of audiences nationally (every state/territory in Australia) and internationally at Who Do You Think You Are? Live London, New Zealand Family History Fair, on four Unlock the Past Cruises, and will be speaking at the “Harvest Your Family Tree” Conference, Kelowna, BC, Canada.in 2014. Helen is President of Southern Suburbs Branch of the Genealogical Society of Queensland. 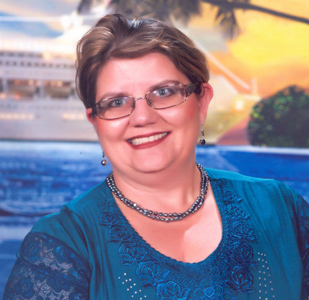 Currently Helen is a part-time professional with lecturing, writing, client research in Queensland, health histories and a part-time position in conference organising with Unlock the Past Genealogy and History cruises . Professionally in her day job, she is a Molecular Epidemiologist specializing in Public Health Microbiology and has a strong interest in infectious diseases and Public Health through the ages. She has a Graduate Diploma in Public Health, Bachelor Applied Science: Medical Laboratory Science and Associate Diploma in Clinical Laboratory Techniques and is currently studying the National Institute of Genealogical Studies: English Certificate and the Professional Development Certificate. Helen Smith talked about how “selling herself” ie. promoting herself to build a following was hard and not natural. This is a difficult action for many people to take yet it is important to building your career. This week we’ll take a first step toward understanding what it means to build a reputation and an audience. To get started with promoting yourself as a genealogy professional, this week we’ll take a look at those who have been successful at the task. Choose a highly visible professoinal (perhaps Thomas MacEntee, Judy Russell, Lisa Louise Cooke or Chris Paton) and then explore how these people make themselves visible as genealogy professionals. Make note and learn how they have positioned themselves for success by using promotion as a tool. Think about which aspects of promotion you would feel comfortable adopting.